THE NUMBER OF road deaths dropped by 15% last year, with 2017 having the lowest number of fatalities on the roads since records began. Provisional statistics up to 31 December 2017 show that a total of 158 people lost their lives on the roads as a result of 142 fatal crashes. This marks a drop of about 15% in deaths and an 18% drop in fatal crashes when you compare last year with the year before. 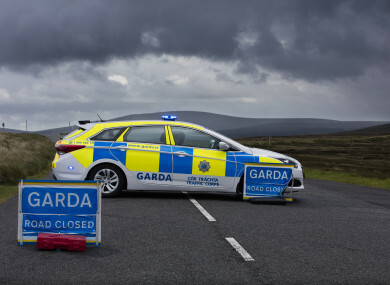 Despite close to one person dying every two days on the roads last year, 2017 was the safest year on Ireland’s roads since deaths were first recorded in 1959. Before this, 2015 (with 162 deaths) was the safest year on record. Transport Minister Shane Ross welcomed the drop in road deaths, but said that the numbers were still “not good enough”. “It is very encouraging to see that we have reversed the upward trend in road deaths witnessed in 2016,” said Ross. “The combined focus on improved legislation, greater enforcement and road safety campaigns all played their part in saving lives. “But while it is heartening to see that 2017 was the lowest year on record for road deaths, this is not good enough. We need to continue our efforts if we are to achieve the objective of reducing fatalities to 124 by 2020. Ultimately our aim should be zero deaths on our roads. His words were echoed by chairperson of the RSA Liz O’Donnell, who welcomed the figures but said that they needed to be sustained and lowered. “While one death is one too many the only way we can measure success or failure in road safety is by recording the number of deaths on our roads,” she said. There must be a concerted effort on the part of government, government departments, agencies and the public to continue to implement the measures in the government’s road safety strategy. Ireland’s Road Safety Strategy 2013 to 2020 has the goal of making Ireland’s roads as safe as the best performing countries in the EU by 2020. Specifically, this means that fatalities on Irish roads need to be reduced to 124 or fewer by 2020. Email “Last year saw the lowest number of deaths on Irish roads since records began in 1959”. Feedback on “Last year saw the lowest number of deaths on Irish roads since records began in 1959”.